Tortillitas de manteca Pa’ mama que esta culeca! I grew up in a very conflicted home–of tradition vs the modern family. We were your regular Mexican family working it’s way up to the American dream. My dad came from a single parent home. His dad had died when he was 3 years of age. Soon as he was able to work, he did. His first paying job was as a shoe shine boy at the age of 11. He grew up into a hard working man. He left Mexico during the Brasero program in pursuit of a better life for his brothers and sisters. (I could write a book on the Novela he lived from the time he was 3 to the time he left Mexico.). Anyway, my dad was 21 when he came to the good ole’ US of A. My mom’s first job in the states was as a house keeper at the age of 15. In those days, so long as you had a Mexican Passport you were allowed to travel in and out of the United States. Her, my uncle Chivo and my Abuelo would continuously get jobs in the states. It wasn’t until 1971 that they received their residency and the family was able to move to California. But my Abuelo’s only lived in California for short periods at a time and would go back to Mexico to live. Their last residency in Mexico was in the border city of Tijuana before finally making California their permanent residence. My mom and dad met at their work place and later married. After they were married, they both quickly began their pursuit for a better life. My dad quickly became foreman for his company and my mom began beauty school. As we grew and as they had more responsibilities at their jobs, the traditional Mexican family unit was no longer traditionally Mexican. My dad had 2 jobs. He owned his own carpet cleaning company and did that from 8am to 2:30 pm. He would come home and get ready for his night job as the night shirt foreman. I remember getting home from school and he would be taking his power nap. I would make his lunch and by the time I was done he was out the door by 3:30 pm. A few hours later my mom would get home from work. She owned her own beauty salon and it was growing by the day. But she still made sure there was a home cooked meal for dinner every night. 90% of the time she would leave it ready before going to work. Sometimes she would leave a chicken out for me to put in the oven. I remember adding salt, pepper and lemon and throwing it in the oven. My friends would laugh at the mix of ingredients I would use. We didn’t have the regular Mexican breakfast with eggs, beans, salsa and tortillas or the fresh enchiladas dinner. That was rare and on occasion would happen on Sunday, the only day we were all home together. Most of the time the meals my mom cooked were Cuban, or stuff she would invent herself. She was surrounded by Cubans so it made sense. There was a time when she would be talking and a Cuban accent would slip out. The family even started calling her La Cubanita. The only traditional aspects we had of a Mexican family was the language and values. I guess we were your traditional Mexican family living in the US. We frequently took trips to Mexico to see family and for vacation. I remember visiting my grandmother in Tijuana and someone would always make Tortillas de Harina. When my uncle Jose would make them they would come out sooooooooooooo delicious!!!! They were so soft, they would melt as soon as your front teeth would bite into them. I loved adding butter to the tortilla and rolling it up. It was the best!!!! But my favorite memory I have when making tortillas was with my Abuela. She would give me a ball of the tortilla dough and show me how to press it in my hands first. We would do it together and sing, “Tortillitas de manteca pa’ mama que esta culeca”. I remember having those same experiences with my mom but not too often because life here in the states was and is so different than life in Mexico. But she would also sing that song when we would make the tortillas. Such fun times. My kids haven’t had that experience yet. 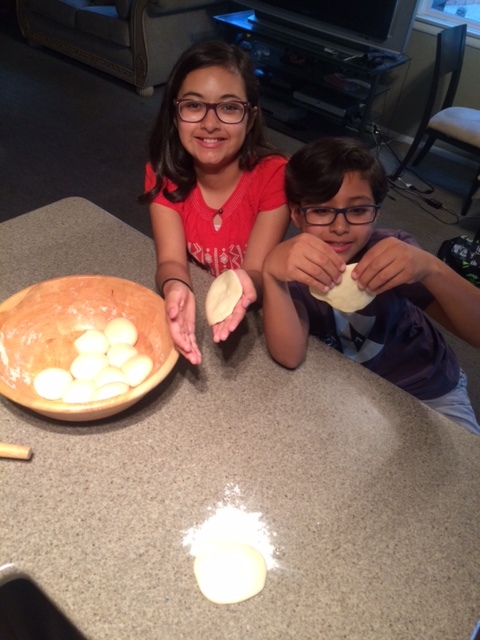 I think today I will make tortillas and sing them the song as they play with their dough. Experts say that we only use 10% of our brains capacity. In fact, our brain has a very uniquely-divine way of storing memories through our senses. That is why I love food. LOL! Food has a way of tapping all our “senses.” When you begin to cut veggies, herbs, meats or poultry, their mist flies into the air, then onto our skin and then into our noses. Boy, do I love cutting cilantro. The smell just does something to me. I don’t even know what it is. After you cut your ingredients, you begin to cook them. All the smells mesh together to produce an aroma so blissful it makes your tripas churn within. Once that masterpiece is done you gently and strategically place it onto a plate and your eyes experience the beauty of our culinary creation. Finally, the moment you were waiting for… tasting the masterpiece. You take your fork, intricately pick up some of the succulent morsels of food and you lead it into the golden gates (or pearly gates if you whiten your teeth) and finally the marvelous treasure of your process unfolds in a one of a kind experience. You close your eyes with every bite and nod with approval like a Jedi Master as he watches their young padawans master their skills. I receive so many messages from our subscribers telling me how our videos bring them back soooooo many memories of their childhood. I believe in the kitchen are where most memories are made. Why? Because in the kitchen, all the senses are tapped and without even knowing, those tapped senses are connected to those around you at that moment. This experience can happen anywhere not just in the kitchen. Today, I made a pit stop at Walmart early in the morning before work to buy some D.O. FOR MY B.O. (deodorant) because I forgot to put it on at home (Happens A LOT! Anyone else relate? No? Ok.). I was going to be at a middle school and knowing how cruel and blunt they can be, I was not going to take a risk of having a slight fowl smell. I quickly went to the appropriate aisle grabbed a random stick, looked at my watch and noticed I still had some time so I leisurely walked back noticing all the things on display. I saw the Picot and my mouth began to salivate. 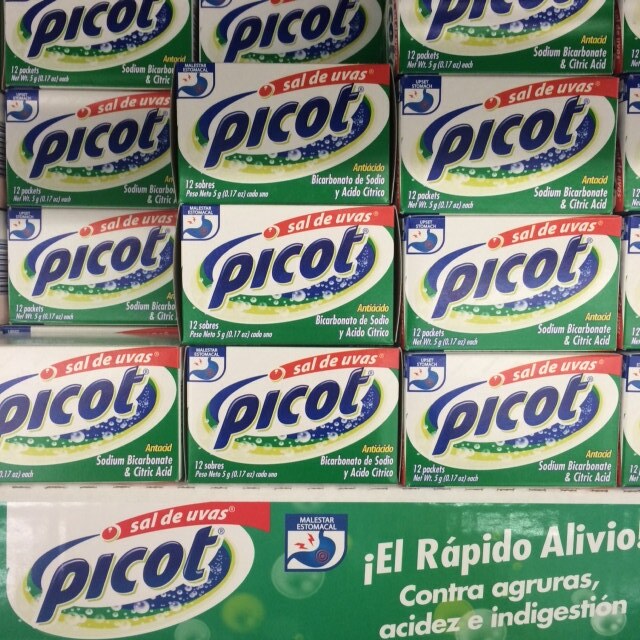 All the memories of times with my aunt in TJ as kids making the Picot foam out of our mouths for kicks. 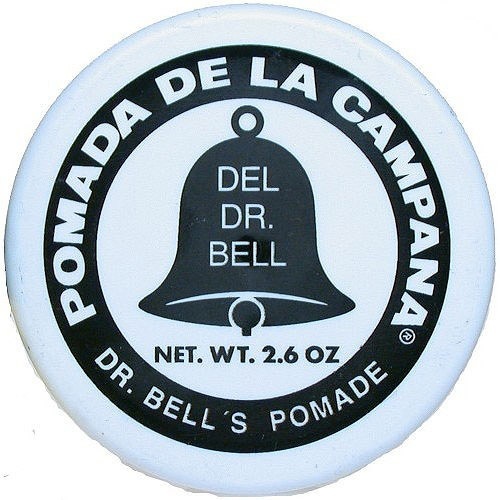 Then I ran into Pomada De La Campana (Dr. Bell’s Pomade). I breathed in and without even touching it, I instantly felt like the 10 year old who laid on Abuela’s bed and watched her rub her hands together with it to smooth over her face, freshly out of the shower. Slowly the smell of the pomada would reached my nose and I would rest my body on her hard “Punto De Cruz” pillows like a baby who nestles in their mother’s arms. As adults, my kids may not have these same memories. I may never use Pomada De La Campana but maybe I’ll share the fun experience of Picot. Matter of fact, they WILL have different memories. But in the kitchen, I will try to keep certain smells alive as we eat and commune with each other. 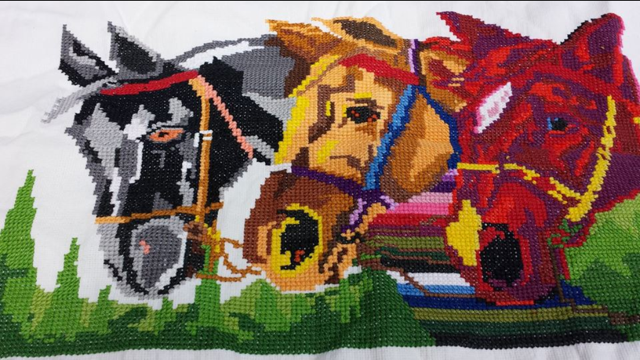 I’m so grateful that my mom and Abuela are still able to help in cultivating some of those same beautiful memories for my kids–it’s what has made my life colorful. Its life at its very best.